It’s not the karaoke bar you’d like to share the pictures from on Facebook. And probably not the people you’d like to say hello to the day after. But there’s something that makes you want to revisit the place and sing the songs you normally stay away from. 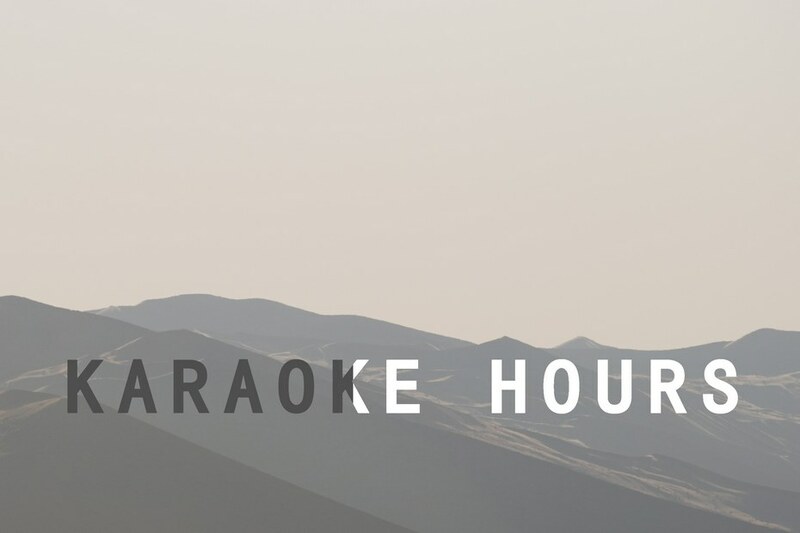 In this feature — sounds and stories of a karaoke bar. It has its own address, but could be found everywhere. — Listen, I’d better go there by bike, what do you think? — I advise you not to do it. Everyone will get tipsy there, and you’ll never know what to expect from them. Oleg has been visiting this karaoke bar for nearly ten years now, and he knows the dangers of the place. He suggests not to take the risk. I’d better leave the bike at home so that it won’t be left unattended through the night. — Will they steal it? — Well, not necessarily steal, but it’s more likely someone may damage it, or, well, try to steal it. Or put a cigarette out on a saddle. The details are of no importance now, because karaoke is just another world. They get together at about midnight in this small hall. From outside it looks like a friends’ meeting. They are strolling from one table to another, take a seat, share the news. But as soon as the sun comes up they are completely different persons. — Don’t you know who they are, what do they do, their life? — No. What is more, they may not say hello to you in real life. But when in karaoke bar they cheer and hug you and kiss, oh helo-o-o. The place has its own stars, and the stars have their fans. The light is dim enough to cover up shyness, age and life troubles— just to leave the voice alone. It takes some time for you to get what is missing there, and eventually you get it— there is almost no smell from the kitchen, and no sharp hiss of a coffee machine. The most heavy and most weary book brought in by a waiter is the book of karaoke songs listed by number. The food isn’t the principal thing. — Nine-five-hundred-forty-three. O-o-oh. Four-four-four-nine-nine. Four-four-four-nine-nine. The abstract background images appear on video screens as the song lyrics crawl through it. The tanned skinned heroes and their girlfriends, and Robbie Williams pacing solemnly around the airplane. You see Robbie climbing up the plane’s wing. He’s dancing on a wing. He’s looking to the left, looking to the right. And it this very moment, thousands kilometers away, a hippo toy is sitting on shelf at a karaoke bar— a witness to all sorts of encounters, revelations, fights, moments of friendship and hope. I guess, the majority of people here are lonely. You don’t expect a family to come here. But if they come, they are likely to have a birthday party, or some family event. Normally, this place is for the lonely ones— they come in their bitter moments, to sing their hearts out. And they also keep their eyes open— just in case they could meet someone. There was a family here— I looked at them and thought, God, that’s just an ideal family, singing all those songs together. But as I learned it later, they’ve got terrible family problems at this particular moment. You can go outside at any time. It’s a good observation point,— says a girl from the table next to ours, as her voice comes through the darkness. Two roads arteries cross in the distance, the shimmering lights get into one, and thirty seconds later they disperse once again. — And there was the taxi driver today. I do think from time to time, God, how can he earn a living when he spends all his time in this karaoke bar? Today, he came in and then he left— he takes people in and out of this bar, and he sings here as well. Actually, he sings here most of the time. But it is not what his job is all about— the more you drive, the more you earn. But he is here every day! And he sings the same songs every day. Isn’t he fed up with all that? — How long does it last? — At least for several years. You can forget the words of the song completely, keep striking the false notes all the way through, and chose the most obscure song in the catalog book. But if you enjoy it, it’s most likely that people around you will enjoy it too. Here’s absolutely charming couple, and the song isn’t the one to expect. Great! And these two have arrived in about three in the morning. A good-looking and well-built girl and her super-stocky companion. In the early hours of the morning he confronted some other guy. A scent of trouble came in. One of the guys put his t-shirt off. The music kept playing. And this very moment a girl steps in. Still singing, she throws her shoes between the two men, as they throw a handkerchief in Caucasus to stop the war. The song ends off abruptly. But it was too late. And then girl starts to push off her partner’ enemy. She is furious in her effort. One can’t believe his eyes— a person she’s been protecting starts to protect his enemy, the second guy who’s being attacked by the girl, and is definitely in trouble. The conflict has ended peacefully, with handshakes and friendly hugs. — [and he says] why do you sing the women’s song? And I ask him what song? Ne Otrekayutsya Lyubya (You can’t abandon the one you love)? What’s womanish about it? Or say, Arlekino (A Harlequin)? It’s a man’s song in fact. Pugachyova has sung it, but the song itself is from a man’s perspective. Pugachyova has done a man’s song! — Well, I may go and listen to Pugachyova songs, but the rest of them… The main guy, what’s his name… Oh, God forbid, Stas Mikhailov— I wouldn’t listen to his music at all. But I can easily sing it in karaoke. And I quite like these songs when there. But not at home, no way!